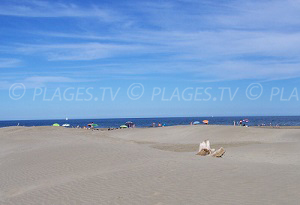 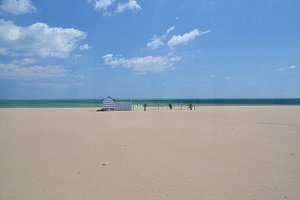 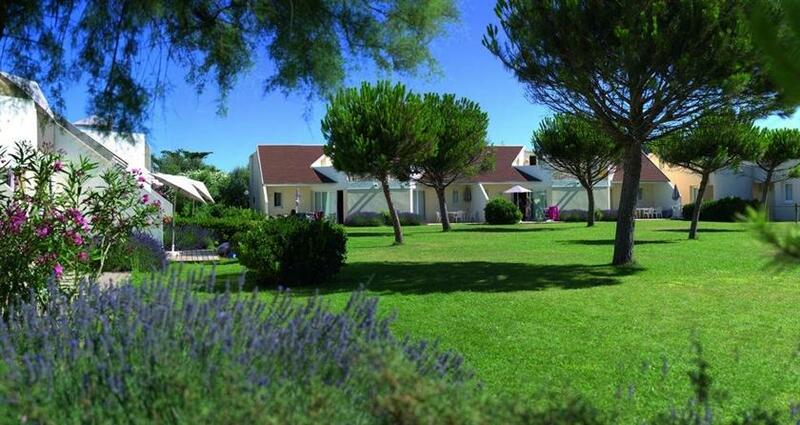 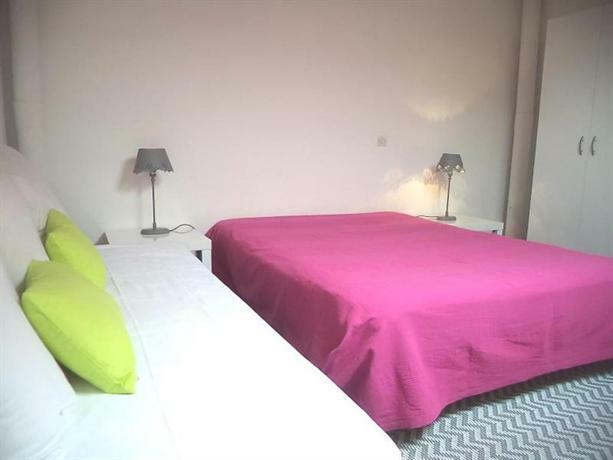 Gruissan’s Ayguades Beach is located to the east of the resort towards Narbonne-Plage at the hamlet of Ayguades. 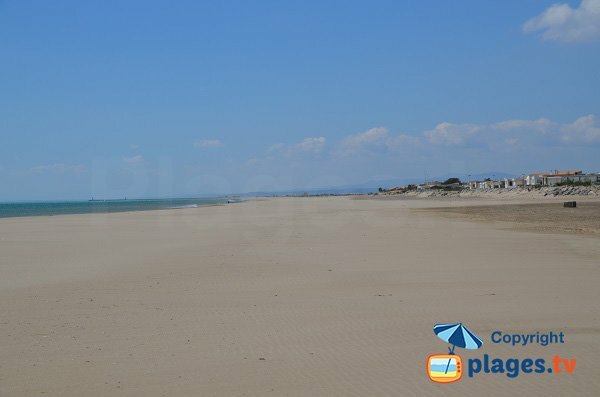 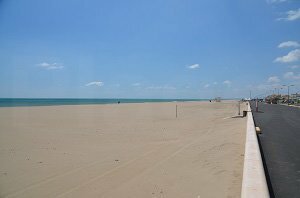 This long sandy beach stretches for over 1.5 km and is surrounded by numerous campsites and holiday homes. 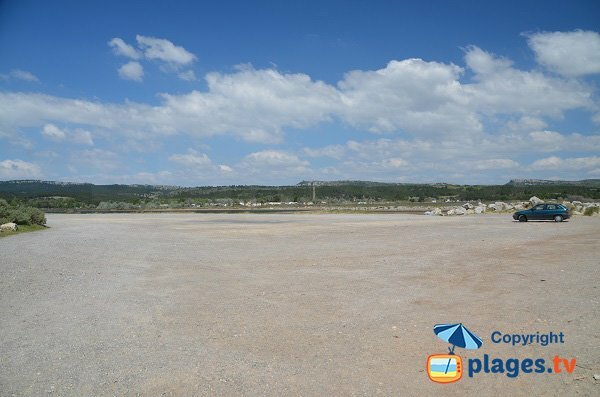 Above this residential area, there is the lake of Ayguades, which is used for water activities. 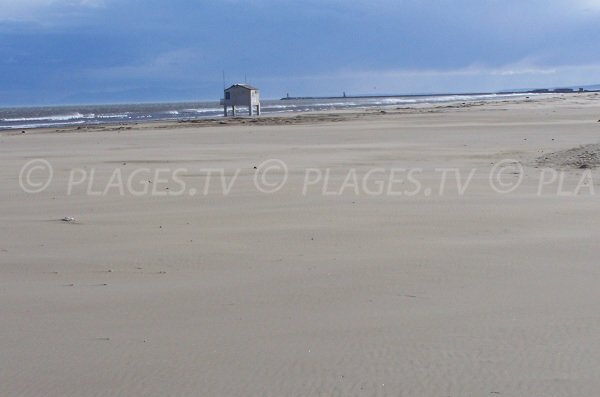 Two lifeguard stations are available on this beach, one is at the car park and the other in the centre of the beach. 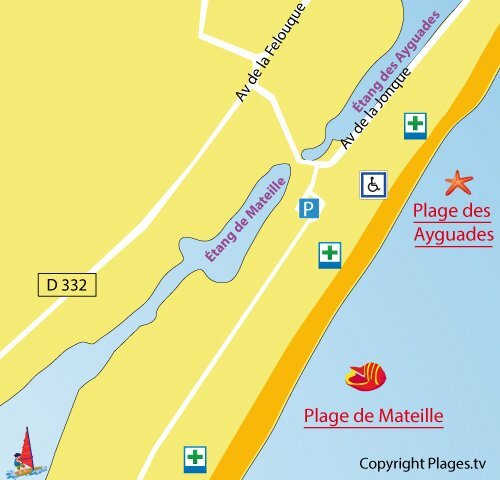 Access for the people with reduced mobility is located near the first street towards the beach on the Avenue of the Jonque (see map). 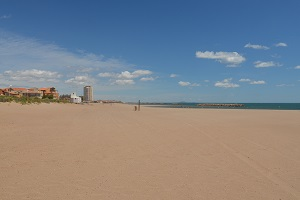 There is also a private beach on the northern part of the beach. 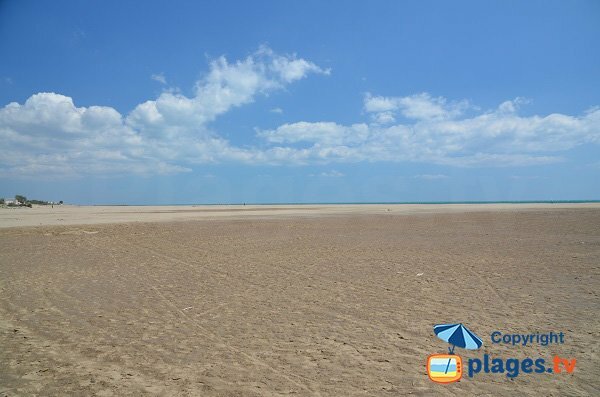 As for the parking, this beach is poor! 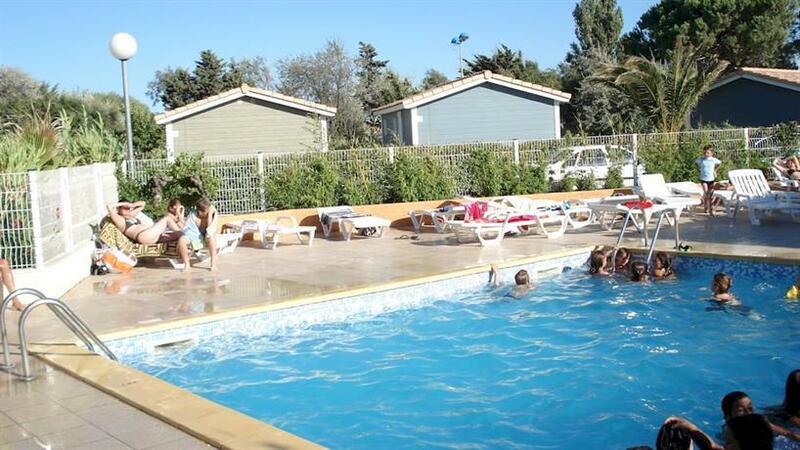 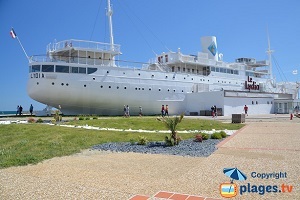 Rare in Gruissan! 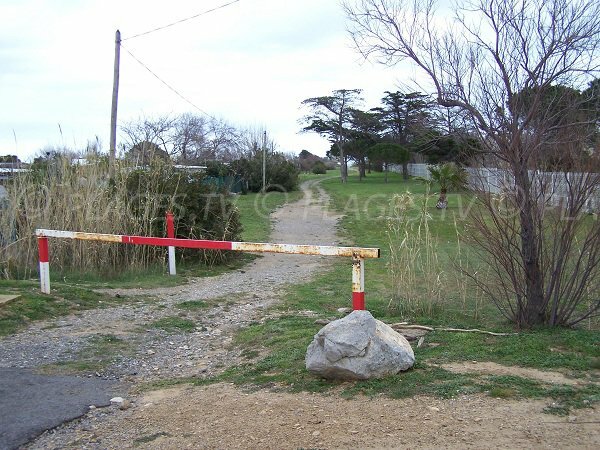 Only a few spaces are available at the entrance to the area. 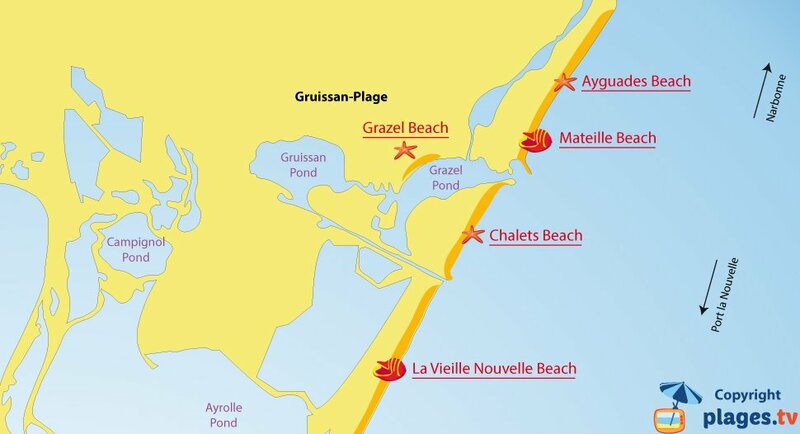 Better to use a bike if you want to go on this beach or park at the north end of the beach (limit with Narbonne). 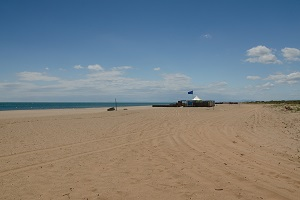 Wide sandy beach, east of Gruissan, with a lifeguard station. 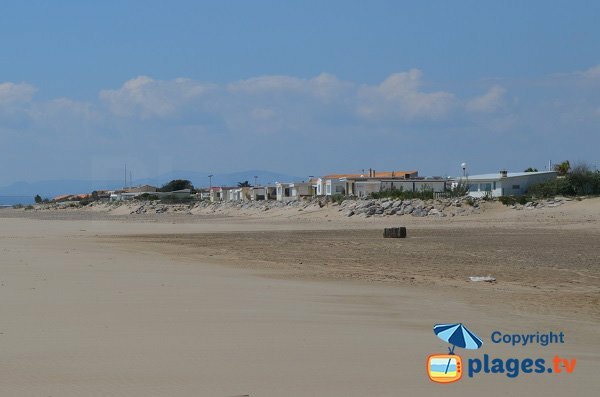 This beach is lined by numerous campsites and holiday residences. 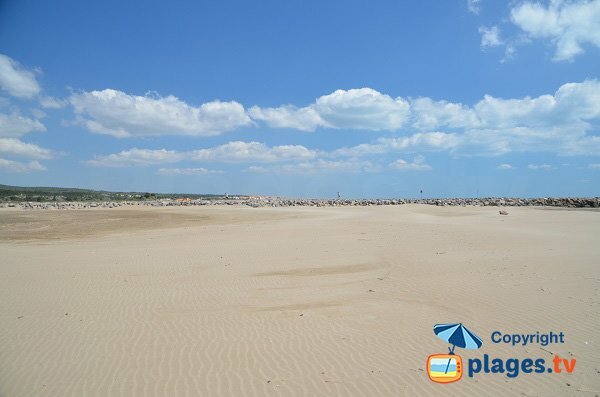 So in the summer season, the beach is very crowded! 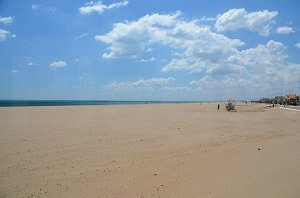 We are at the dike between Narbonne-Plage and Gruissan (behind the dam, there is a beach of Narbonne where you can practice sand yachting). 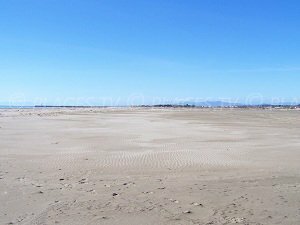 At the dam (near Narbonne), there was ample free parking.